It’s the night when Melbourne’s architecture becomes an artist’s canvas. 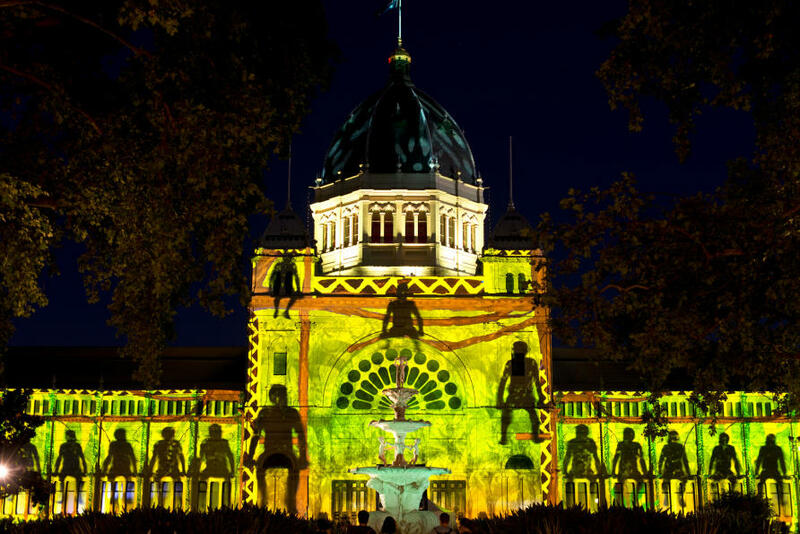 The city opens itself all night to around 500,000 people who swarm the streets, laneways and buildings, taking in live art, spectacular light and projection displays, music, films and installations. One moment, White Night visitors may be enthralled by an enchanted garden. 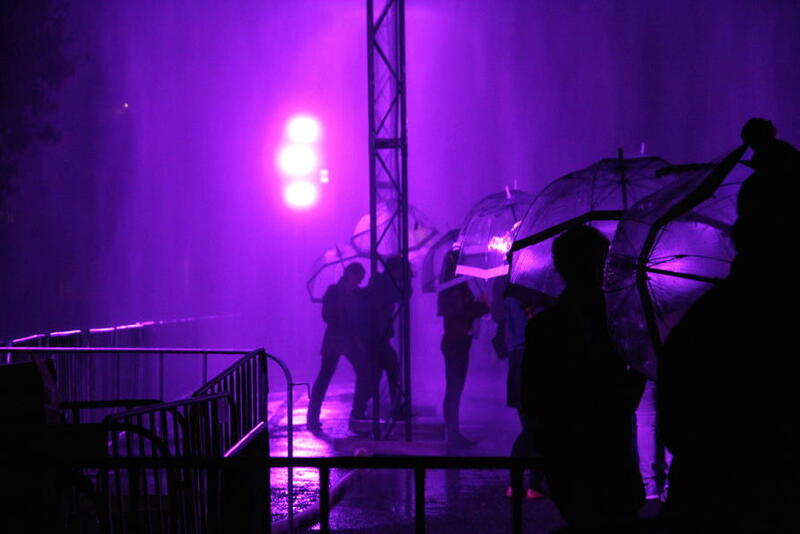 The next, they’re clutching an umbrella, laughing in the Purple Rain. As White Night reaches its five-year milestone in 2017, is it still going to be novel and interesting to visitors, or will crowds this year be underwhelmed? After each event, journalists often rush to declare White Night a success or failure and support their arguments with selected subjective accounts from social media. But is there a way to assess the audience experience more objectively and systematically? My research interest uses data from social media to investigate public culture. 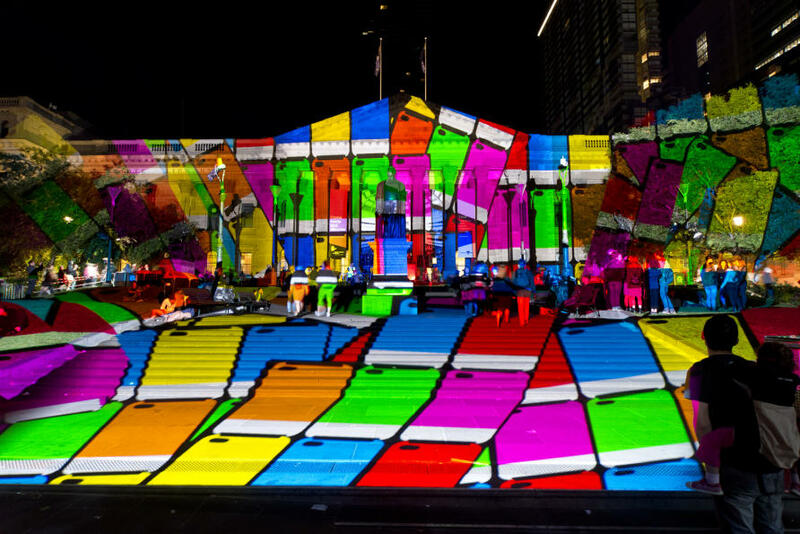 Instead of selecting a few choice Instagram images to assess the event, we can download all the public Instagram data beneath the hashtag #WhiteNightMelb, the most commonly used hashtag during White Night. We can then take the captions beneath all these images and run an algorithm, called a ‘sentiment analysis’, to try to determine if each caption is expressing something positive, negative or neutral. For example words like ‘happy’ or ‘great’ would have a large positive score, where words like ‘hate’ or ‘terrible’ would give a negative score. In order to understand sentiment, we also need to look at combinations of words within captions. For instance, ‘not very happy’ is completely different to ‘very happy’. By adding all these scores together in a given piece of text, our algorithm can guess its sentiment polarity. Of course language is complex and nuanced, so the analysis cannot always take all linguistic variations into account, but still does reasonably well, when we cross-check it manually. The only real problem is sarcasm and irony. Robots take everything literally. Bearing these limitations in mind, we can determine the percentage of image captions that express a ‘positive’ sentiment and compare between years. The absolute number of ‘positive’ captions is a bit rubbery. 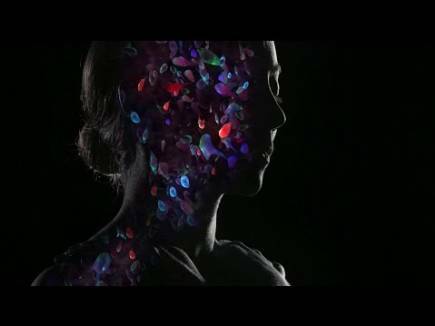 We can always change the thresholds on our algorithm. However, when we compare between years we can get an idea of how White Night is tracking. So is White Night getting stale? Based on our analysis, the answer is no. 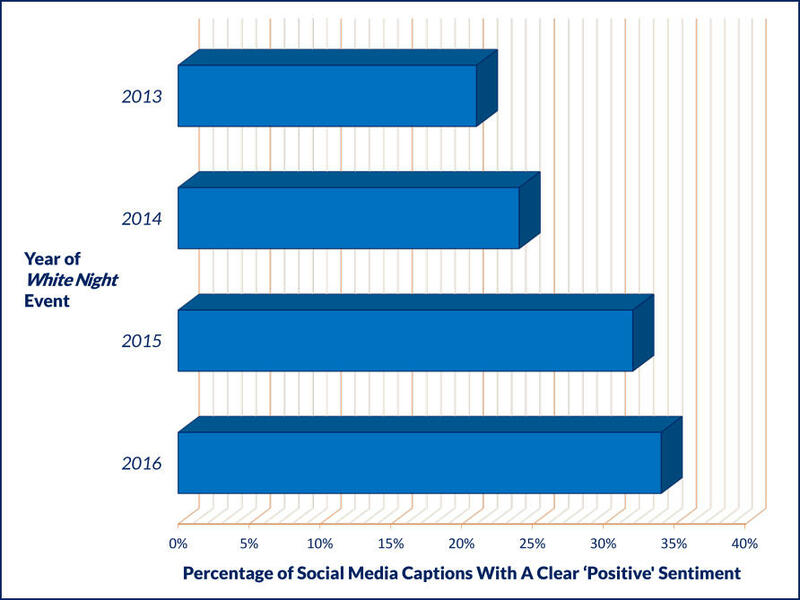 In fact, the percentage of positive captions about the annual event has increased every year since its inception. So, as far as the average Instagram user is concerned, White Night keeps getting better. The growing positive sentiment of White Night visitors is supported by our analysis of the amount of ground that visitors cover over the course of the night. Attractions at White Night stretch from the National Gallery of Victoria to the Royal Exhibition Building. A round-trip between these two destinations is almost five kilometres. So is it really reasonable to expect that an average audience member walks all this way? Or has White Night’s audience split into smaller sub-audiences; do people coming from northern suburbs just go to events at the north end of the city, and vice versa for south siders? Our analysis can look into this as well, when people geotag their images. For example, if we assume that the order people upload their images to Instagram is the same as the order they attend attractions, we can roughly track how they move through the city. The movements for three users are shown below. Of course we can track many more people than this, to help with crowd management. In 2016, 192 separate users tagged photos at the Royal Exhibition Building and 178 tagged photos at the National Gallery of Victoria. However, 40 users tagged photos at both locations. When we compare this overlap to other pairs of attractions that are much closer in proximity, like The Royal Exhibition Building and Melbourne Museum or the National Gallery of Victoria and The Arts Centre, we find they’re about the same. 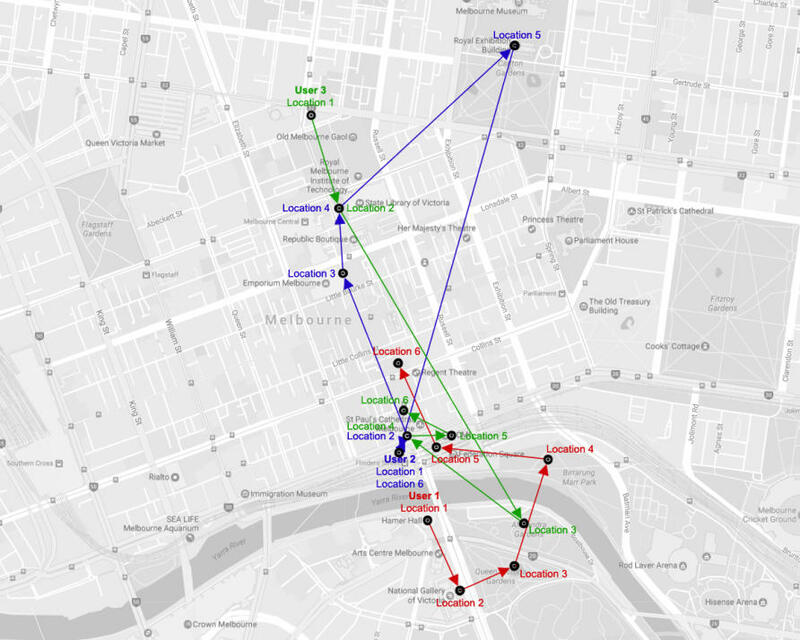 We do this analysis a little bit more systematically on all pairs of major attractions and only find a little bit of audience clustering around some northern events, such as the Royal Exhibition Building, Melbourne Museum and City Baths. Otherwise, the Instagram users move between attractions across the city very freely. 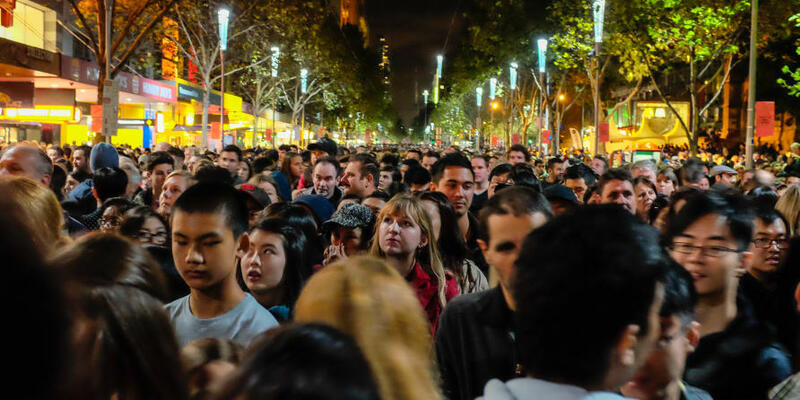 This implies that distance isn’t really a significant factor in the attractions we attend and a lot of people will be walking five kilometres or more over the course of the night. So, visitors to future White Nights will be well advised to wear their most comfortable shoes.